Father Roger Dowling is a busy man. He's got the ambitious and all-encompassing task of running St. Hilary's Parish, dealing with his busybody housekeeper, Mrs. Murkin, and counseling his flock with his characteristic blend of faith and compassion. He's not complaining, but it's no surprise that even a superior priest like Father Dowling needs a break now and again. So off he heads for a week-long retreat in Indiana on the quiet grounds of an old Catholic religious order, where he can meditate, reflect, and pray for a quick recharge of his waning energy. Unfortunately, Father Dowling's spiritual retreat turns into a baffling murder investigation when a dead man is found in a grotto on the grounds with the handle of an axe protruding from his back. Complicating matters is a long-running real-estate dispute that has pitted the brothers of the order against the previous owners of the huge and valuable piece of land on which their sanctuary sits. Who could have killed the man and why, and does it have something to do with the high-stakes mind games being played out between the parties vying for the land? 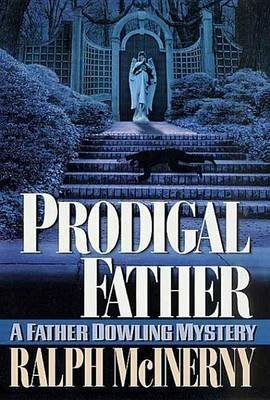 No one's too sure, but what is clear is that Father Dowling is once again at the center of it all in another winning entry in a mystery series that's become an institution.